New this season, developed by us and named after local NZ places. 60 x 60. Hardy. Dark green foliage on an erect growing small shrub. 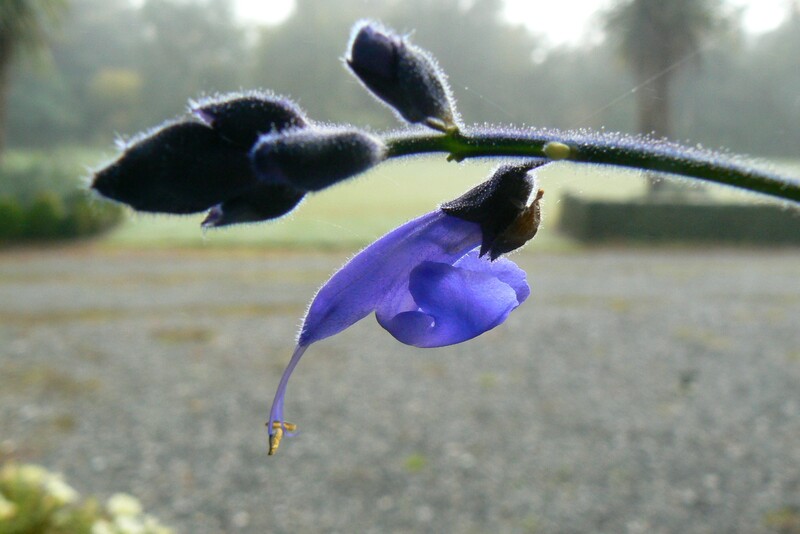 Flowers continually late spring until the frosts. Hardy. 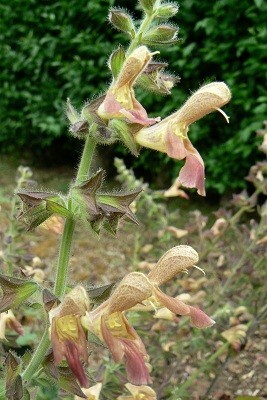 A form of Salvia pratensis found growing on the roadside near Verona in Italy. 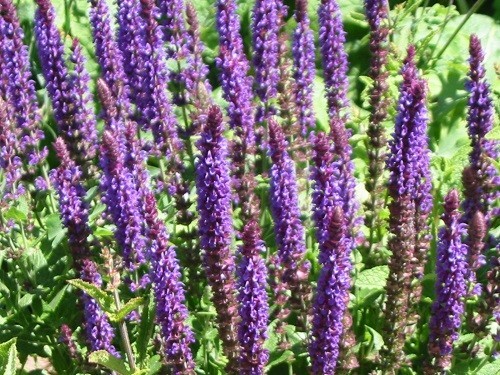 Rich purple-blue flowers on 1m stems. 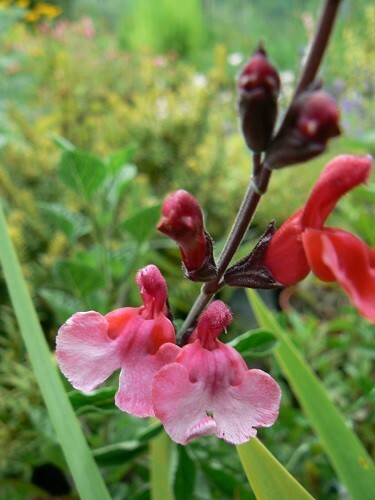 Originally grown from seed but in our garden Verona fails to set seed so I have to propagate by cutting hence few each year. 75cm-1.5m From southeastern USA. 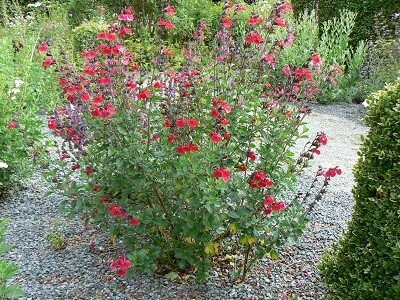 This salvia is not as well-known for the perennial border as it should be. 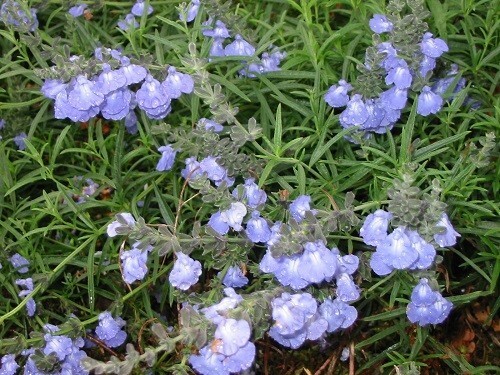 Plants form a low mound of green leaves, sending up tall lax stems in late summer that are topped with spikes of bright azure-blue flowers. 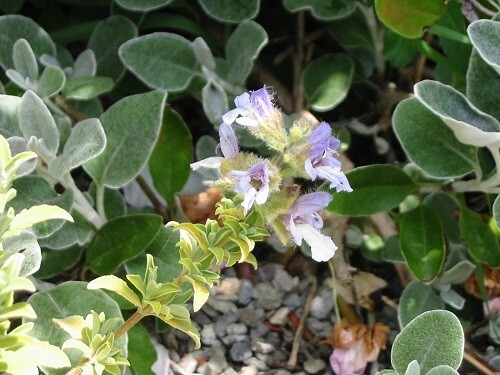 A shrub with aromatic and slightly sticky leathery leaves that grows to a height of 1 m. Light blue flowers are borne in summer. Native to the southwestern Cape of Africa. Said to grow to 1.5m high and as wide but with me has never reached 1m in either direction! 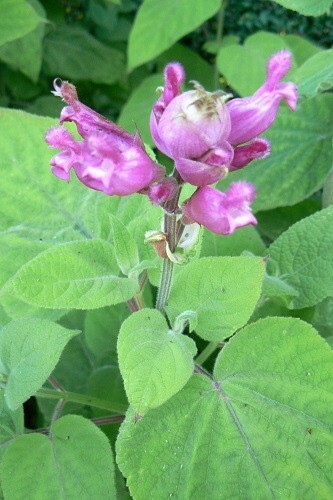 Pineapple sage, Honey Melon Sage. 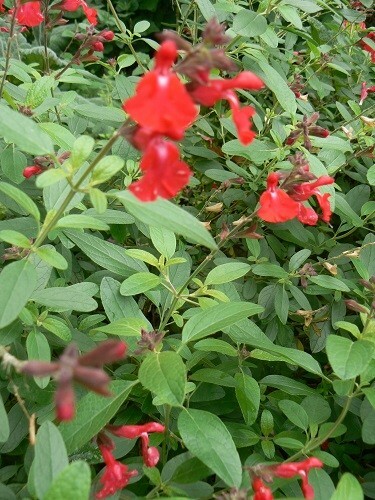 Autumn flowering with long narrow crimson flowers. 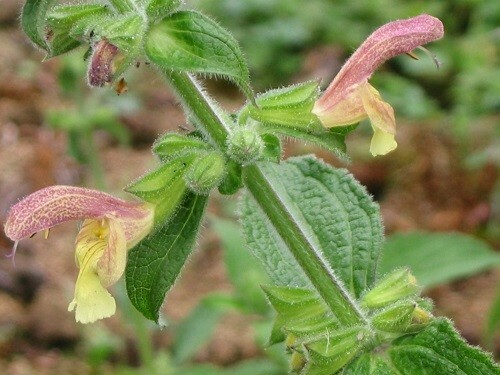 The foliage is aromatic and slightly sticky. Tall elegant plant to 2m. Needs winter protection in frost areas. 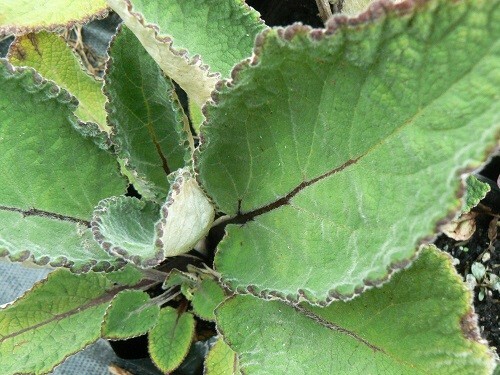 NO further sales until plants recover from frost damage in spring. 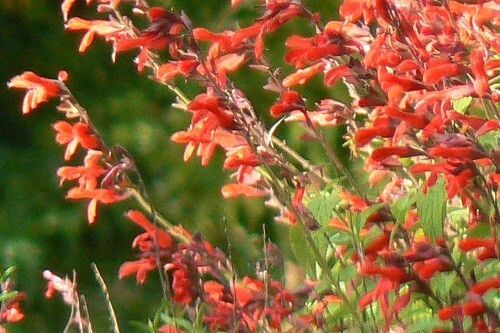 A hardy Chinese salvia. 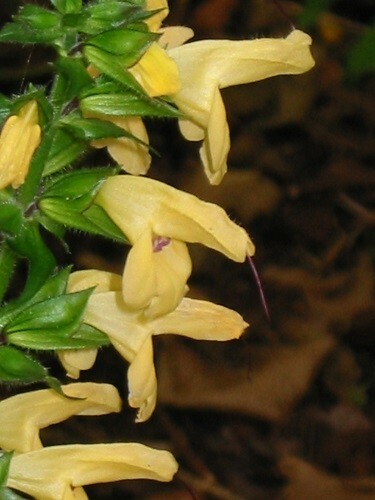 Yellow flowers with a maroon lower lip. 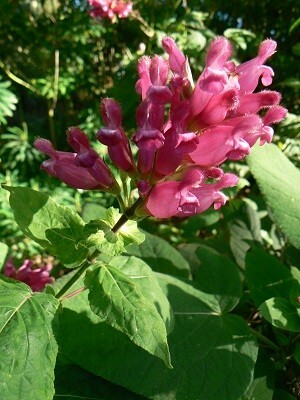 Grows to approx 60cm with flower stem as high above the foliage. Sun. Prefers soil that does not dry out. 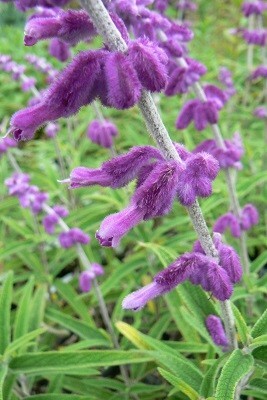 PB2 This salvia is frequently referred to as S. bulleyana which is wrong, bulleyana is a purple colour. 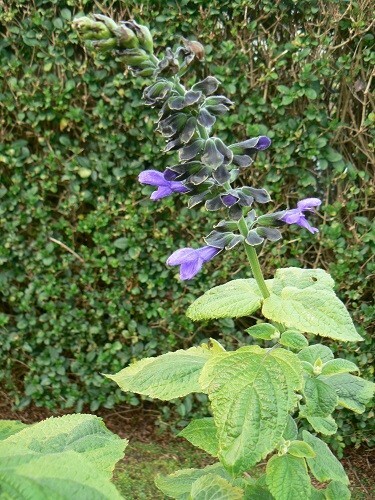 Pale gray-blue flowers on 1.2-1.8m stems. A vigorous grower in full sun to semi shade. 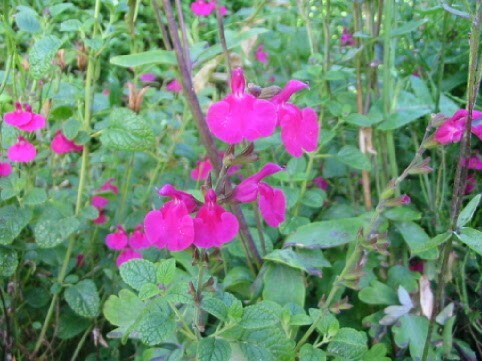 As with all salvia do not tidy the plant in the autumn but leave until growth begins in the spring. ‘Cyclamen’ as its name implies has masses of cyclamen pink flowers. 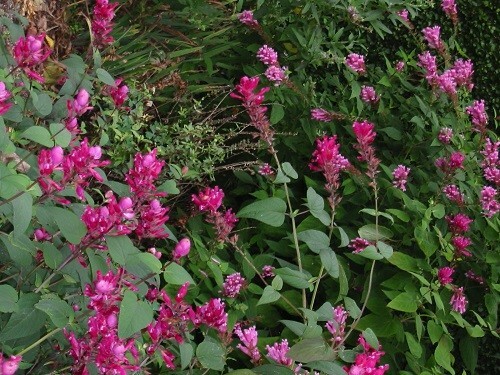 It is a small shrub reaching 80-100cm tall and sa wide. 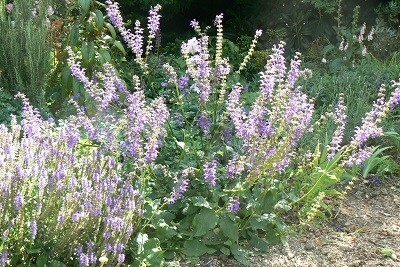 It is tolerant of moderate frosts, full sun and dry. 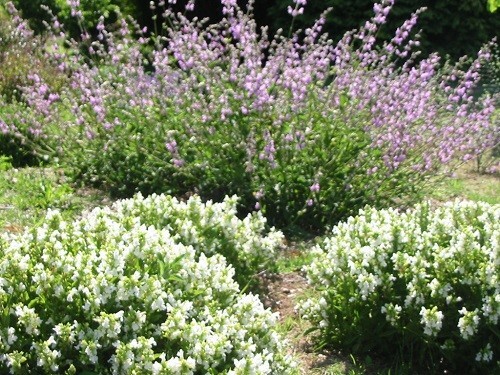 Flowers over the summer for a long period. 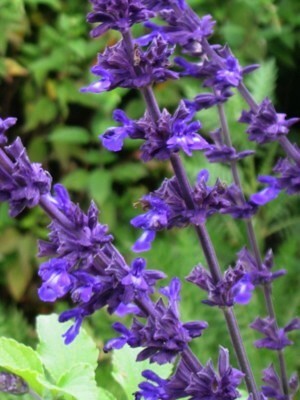 Rich violet -blue flowers on racemes a little lower than other Salvia nemorosa varieties. 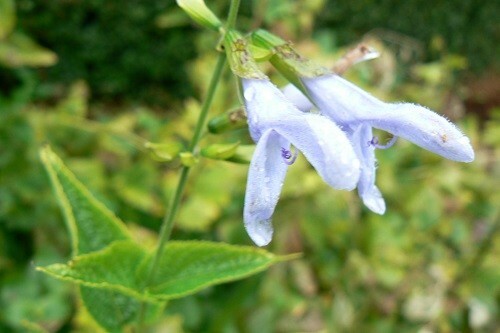 This salvia starts to flower in the autumn and produces whorls of yellow-gold hooded flowers. The foliage is pale green. 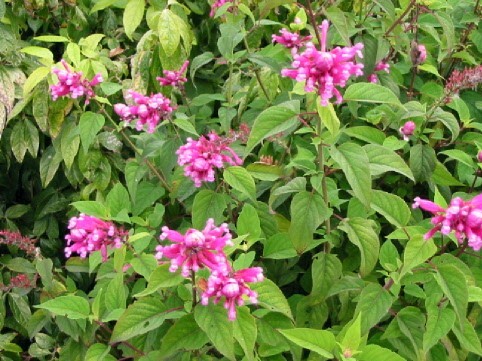 Grows to about 35cm high and prefers a shaded moist well drained soil. Summer flowering. 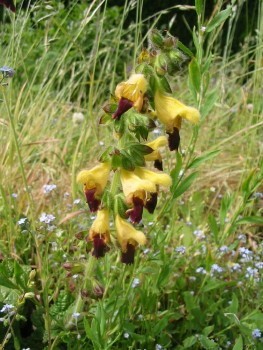 Erect growing to 1m with large fresh green foliage Pale yellow flowers with maroon markings on the upper lip in whorls 2-6. 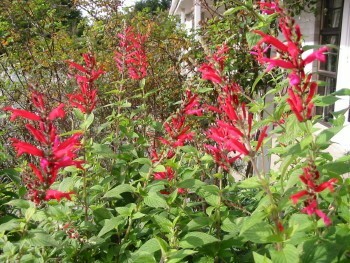 Similar to Salvia glutinosa.